When it comes to dessert I rarely make a recipe twice. 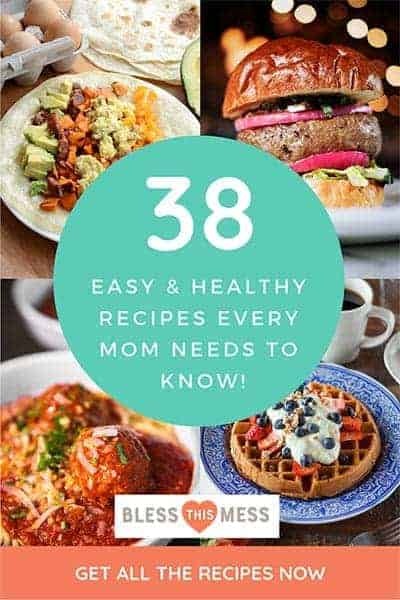 We make our favorite chocolate chip cookies and normal old rice crispy treats over and over again, and if I make something else it is generally a new recipe. 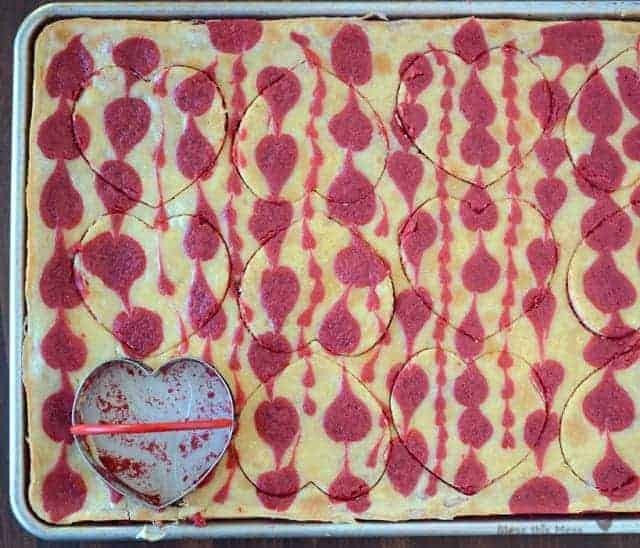 I saw this gorgeous red velvet cheesecake bar recipe on Novice Chef last year and never made them, but I’ve thought of them often. I’m not a big red velvet fan, but they are just so pretty. So last week when we had my father-in-law, BFF Shaun, neighbor, and his nephew over working on the house plus two missionaries from our church over I thought it would be a good time to try out the recipe. It makes a big pan and good or not, they’d get eaten with that many men around. Let me tell you, they were eaten. And raved about, and snacked on, and then gone. The whole pan gone. You guys, this is one of the best recipes I’ve made in a long long time. The bars are dense and soft but still completely sturdy (perfect for cookie cutters) and they were just so good. Plus, they are beautiful. Shaun told me they were the best thing he’s eaten this year. Now, it was the first week of January and so I teased him about teasing me, and he said he meant 2012 too. And honestly, I made a second whole pan this week just for us. They are so very good. 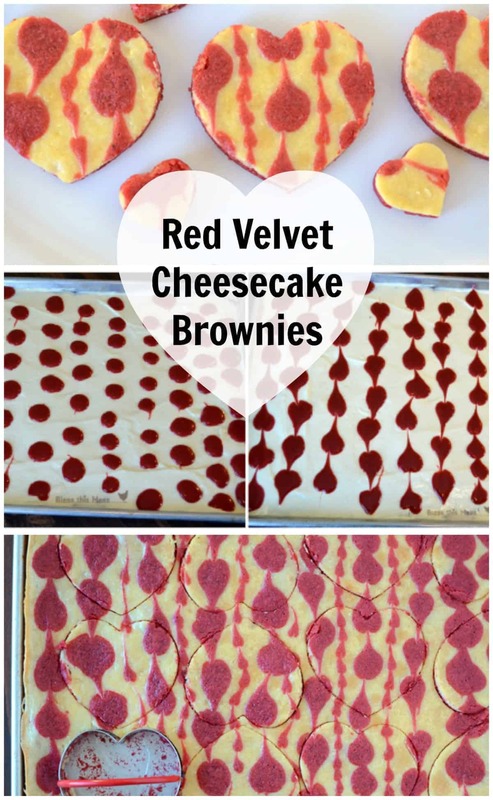 Put these on your list to make for Valentine’s treats because that red is just perfect. In a large bowl, or the bowl of your stand mixer, add the flour, sugar, cocoa powder, salt, and baking powder. Stir to combine. In a small bowl add the eggs, oil, 2 tablespoons of milk, vanilla, food coloring, and white vinegar. Whisk the wet ingredient to combine. Make a well in the center of the dry ingredient and pour the wet ingredients into the center. Mix until well combine or with the cookie paddle attached, mix on medium-low speed until well combined. The batter will be very thick. Remove about 3/4 of a cup of the batter and put it in a small bowl (or the bowl the wet ingredients just came out of) and set aside. Spread the rest of the batter in the bottom of the jelly roll pan. You can make little hearts on top! Do this by adding the thinned batter to a pastry bag with a small circle tip or in a ziplock bag (and you’ll cut off a little tip of the corner). Drop the icing in small circles onto the top of the cheesecake layer. You have to work kind of fast because the batter is thin enough that it just drips out of the bag if you aren’t moving pretty quick. Leave a little space in between the circles and it’ll be easier to make the hearts if the circles are in a line. The size of the dots ranged from dime-sized to about half that. Pull the end of a toothpick from the top of the circle to the bottom to make a heart. The hearts will look best if you don’t pick up the toothpick in between circles, just drag down the line. 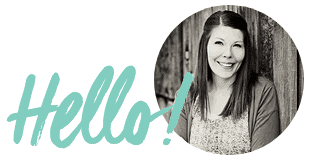 Notes: You don’t have to cut it into hearts. It would make a lot of cute little squares. 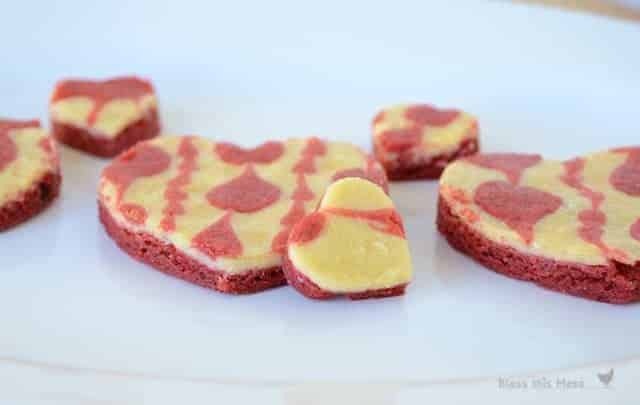 Red Velvet Cheesecake Bars need to make a appearance on your table soon, and lucky for you, Valentine’s is the perfect excuse to whip a batch of these up! Mmm. Now if only I had some now. One bad thing about blogging is by the time the pictures are edit, the post written and up, the treat is normally long gone and it just makes you crave them all over again. Forget Valentine’s Day–I know what I’m making TOMORROW! Definitely just saw this on my friend’s wall and immediately went to make them. It’s been a rough day – it was this or send my husband to the store for ice cream. But they are cooling right now and smell insanely delicious. Don’t wait for them to cool… pick at them now 🙂 I totally had that day too! And lucky for me the husband had a dozen extra glazed donuts from his Scouts activity tonight. Oh the joy a donut brings me. These are gorgeous and they sound SO delicious! I’m brainstorming what dessert to make for Valentine’s Day… these just might be it. Yum! These are super cute! I love the heart pattern. 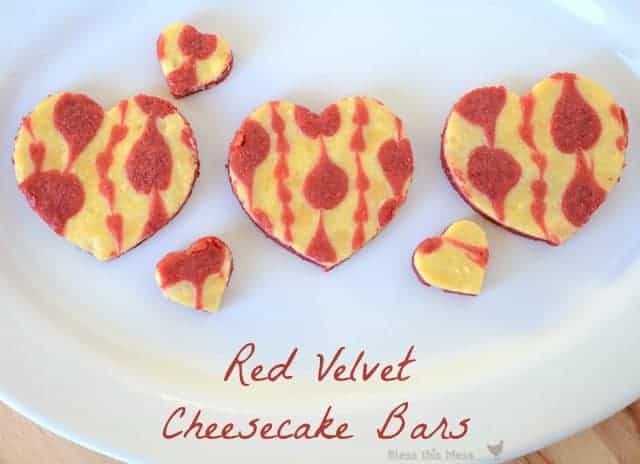 made these for vday & my hubby LOVED them!